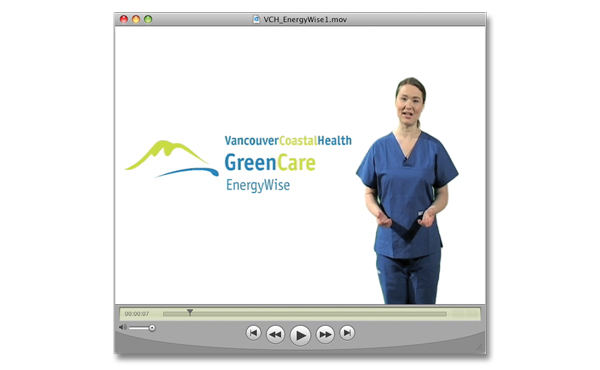 Vancouver Coastal Health, a health care services provider, was in need to promote its GreenCare initiative to its staff. "Saving energy starts with you" is a campaign that includes six short informational videos to promote sustainability at all VCH health care facilities. The videos provide some simple actions that everyone can take to conserve energy and water at their workplace.